I read more this year than I ever have before and mostly it was because I encountered books like the ones on this list that reminded me why I love to read and what a good story can do for a person’s soul. These are my best 10 from the year. It might be a bit redundant for me to list them because I’ve already quoted many of these books or even written full reviews of them throughout this year on this blog. But they were all good enough that I want to make sure to recommend them again to all of my readers. If you need a good book to read over the holiday break or to start your new year off, all of these are worth checking out. One of my new year’s resolutions will be to read even more so that maybe next year’s list will be even more competitive. Not all of these books were published in 2014, they are just books that I happened to read in 2014. They are ones that if you haven’t yet, you should happen to read in 2015. There is so much to love about this book. Most of all, Danticat’s incredible use of language and storytelling are such that they make me want to be a better writer while at the same time letting me get completely lost in the story as a reader. 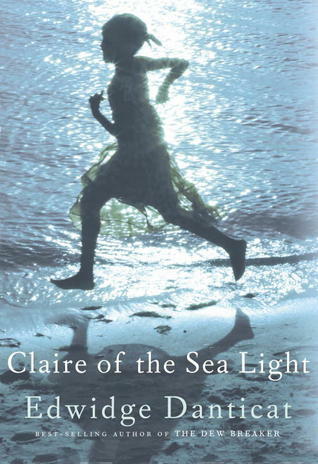 The brilliant way that she layers so many different convergent stories all centered around the innocence and optimism of one little girl, Claire. The setting that she creates in the fictional town feels so real, especially for someone from the Jacmel area, I could visualize every step the girl took. My absolute favorite part of this book, however, was a part where Claire sings a song about a hat falling into the ocean. About a week after reading the book, I was riding in the back of a tap tap and a group of teenage girls in the truck with me started sing the same song! Set in a fictional village in Sierra Leonne that is trying to rebuild itself as refugees return to it after the war ends, paints a picture of conflict that is seldom seen. Although it’s fiction, Beah writes with such sensitivity and infuses his words with such a unique African style, that the entire story feels very real. And knowing Beah’s background from his own memoir, Long Way Gone, you can feel how personal each character is. As the community fights for dignity and the chance to be seen as more than disposable your empathy as a reader is pulled to the absolute limit. 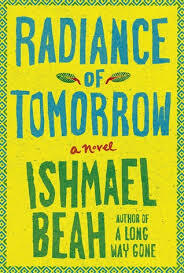 Beah leaves you as a reader wanting to find the radiance in tomorrow almost as badly as the characters in the book themselves. You keep thinking maybe on the next page, or the next chapter, the light will come, but you’re never given the real relief that you’re looking for, and it’s in that realization that you feel the pain of the characters and the truth of what it may be like for so many in the world who have to face such situations after being displaced by war. 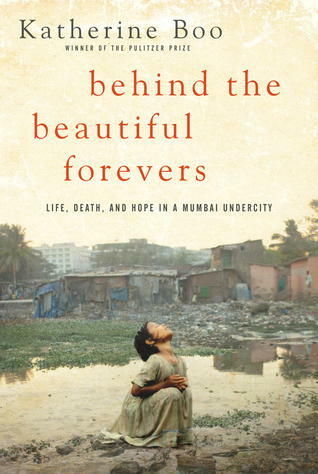 This breathtaking story creates such a beautiful yet tragic atmosphere where poverty and wealth, politics and religion all collide through very relatable characters that are all trying to make life better for themselves in the slums of Mumbai, India. It’s hard to believe that the story is based on real events lived by very real characters because it is so well told and so extreme in its representation of the clashing forces that define this society. And yet it’s full of so many snippets of real life that can be applied to the struggles of people anywhere in the world. No book has made me root for the underdog and feel sympathy for seemingly sympathetic characters like this one. As I mentioned in my blog post about this book, it was definitely the most quotable book that I read all year. If more people in the aid world thought like the author of this book and more people outside of the aid world realized even the tiniest drop of what he’s talking about, it would be possible for a new era of aid work to take hold in the world. It unashamedly calls for more professionalism in aid, honestly questions how long we can allow good intentions to be the basis for bad aid, and it also reveals that when aid is really done well, it ends up sucking the soul from those who do it. It removes the façade of fluffy good feelings about humanitarianism and asks us all to get real with ourselves. I just finished this one. And although I’m not usually attracted to war stories, Angelina Jolie convinced me to give this one a try since she made it into a movie. It illuminated so many parts of World War II that I had no idea about and shared the harrowing and extraordinary story of Louis Zamperini. From childhood bad boy, to Olympic runner, to Air Force bombardier, to tortured POW, Zamperini survived it all and eventually came away full of forgiveness and a greater zeal for life than he’d ever had. So much courage and resilience and strength of the human spirit coming through this story. If any of your resolutions for 2015 include complaining less or having a more positive outlook, then this is a book that will help you accomplish those. I know that as soon as I finished it and put it down, I looked at my life and the world that it’s lived in a little differently. Maybe “lost at sea” was a theme for my reading in 2014. 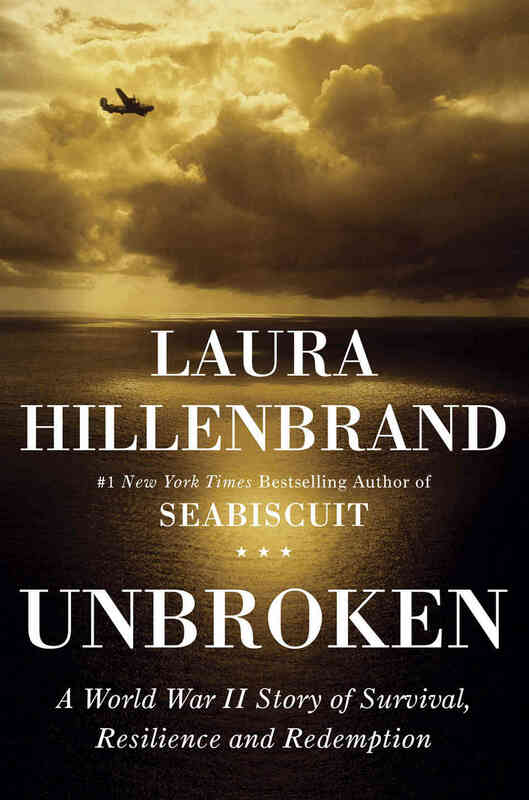 This one, like Unbroken and even Claire of the Sea Light could fit into that theme literally where as some of the others more metaphorically could. 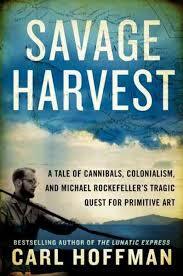 But Savage Harvest is full of themes that drew me in: art, adventure, anthropology, and spirituality. They are all packed into the story of Michael Rockefeller and his search for “primitive” art among the Asmat people of New Guinea. The Asmat, known for cannibalistic rituals but also their beautiful and raw artistic expressions of their spiritual experiences, drew Rockefeller to them searching for items to take back to his father’s museum in New York. He mysteriously disappears on his voyage and the author of the book retraces his steps and weaves a very plausible and intriguing story of what might have happened to him. 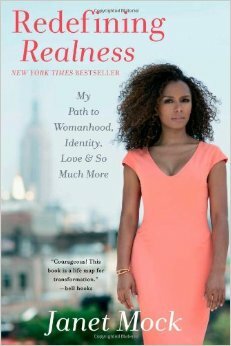 I learned so much from reading this book about the journey that a transgender person goes through but even more than that, it’s simply a story for us all to have the courage to be real with ourselves. I had been attracted to the book because I was acquainted with Mock through some of her television appearances, but never knew her personal story. My favorite part of the book, however, was showing the cover to my roommates here in Haiti and hearing them all fawn over what a beautiful woman she was and then see the look on their faces when I told them that she was born with male anatomy. In the rural mountains of a country as LGBTQ-phobic as Haiti, of course they freaked out at first, but it also opened up some very interesting conversations with the guys and gave me a chance to share Mock’s story with them as well which let them see into the experience of a person that they would never take the time to think about otherwise. 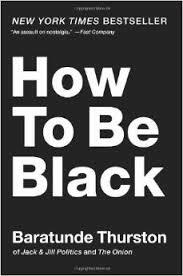 On the back cover of this book it asks, “Have you ever been called too black or not black enough? Have you ever befriended or worked with a black person? Have you ever heard of black people? If you answered yes to any of these questions, then this book is for you.” I couldn’t agree more. Especially with all of the tragic, upsetting news around race relations in our country right now, a book like this can help us to understand each other while being very funny about it. It takes so many stereotypes and turns many of them on their heads, reveals the absurdity of others by placing them so in your face and embraces others as unavoidable but still harmless. 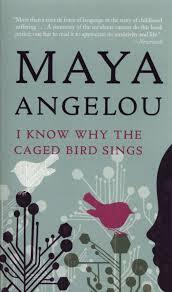 I bought this one after hearing of Maya Angelou’s death and realizing that I’ve never actually read anything of hers. I’m glad I did. I like to think that I’m a better person because of it. Although sometimes difficult to even read in it’s authenticity, still beautifully written and leaves the reader with a sense of redemption and wholeness. The hatred an pain that comes through the story, although set years ago, still resonates with what we as a society have to confront today. Ultimately though, it brings each reader to a point of acknowledging the strength that lies within themselves and gives them a reason to fight through their struggles. 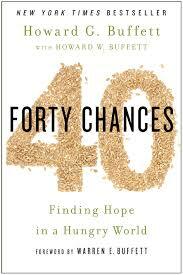 This is a collection of stories by Howard Buffet sharing his experiences doing humanitarian work all over the world through his foundation that was built through his father, Warren Buffet’s, fortune. Much of the book is pretty typical humanitarian do-good feel-good help people kind of stories. But there’s a whole section where Buffet outlines some of the biggest failures that he’s encountered along the way and the mistakes that he’s made and learned from that I found particularly refreshing in its honesty. It’s kind of comforting to know that even someone with access to as many resources as Buffet does things wrong sometimes. But it also comes back to provide some substantial basis for how to do aid work better. What were your favorite books this year? I’d love suggestions of ones I missed that I should add to my bookshelf for 2015. Just a few days before I returned to Haiti I went out to eat with my parents and a couple of family friends. Where I come from in Iowa, we don’t go out to eat at restaurants, we go out to eat at towns, depending on what food we’re in the mood for. Merrill for Mexican, Remsen for steak, Marcus for a burger… you get the picture. On this night we were going out to Germantown for fried chicken. And the family friends that we were going with are some of Mom and Dad’s best friends from back in their high school days that they have remained friends with to this day. The husband, in fact, is such a good friend to my father that my middle name is in his honor, Daniel. And I’ve always liked these friends of my parents and see them frequently whenever I’m back home. One of the things I like most is getting in political debates with Dan. I’m not sure that there’s a person in this world who could be farther on the other end of the spectrum from me on our social views. And Dan’s a guy who loves to stir the pot whenever he’s in a group and say something that he knows is going to be controversial. This night in Germantown was no exception. When he said that Barack Obama was a dirty Socialist hellbent on destroying our country and Ben Carson would make a much better president, I let it slide because I knew I was outnumbered on that one when a table full of drunk guys behind us cheered him on. When he claimed that Obamacare was taking away everyone’s freedoms I told him to quit making stuff up but left it at that knowing how uncomfortable it makes both his wife and my mom when I engage him and really get him going. But when he started in on Michael Brown, the moment the words “thug” and “monster” were used, I couldn’t keep my mouth shut. We continued on for the next 10 minutes in a passionate, but respectful debate about the characterization of the victim and real underlying issues that prompted the worldwide protests to the situation. Neither of us convinced the other of anything, but we laid our points out in front of each other and at least let each other know that we were not okay with what the other was saying. We had a discussion that didn’t change either of our minds but presented both perspectives not just to each other but to everyone around us at the bar that night who was listening. Eventually Dan’s wife kicked him under the table and told him to let me finish eating my chicken. And that was that. We went back to talking about football or something. Dan’s not a bad man. I wouldn’t even call him a racist, because I know how much that label hurts and believe in personal evolution and redemption (Although I did consider calling this post “The Embrace of a Racist” because I knew it would get more clicks). But he is the type of man that, if I encountered him on the internet, possibly though an opinionated comment on my blog, I would probably think hateful thoughts in my heart about him and all of the other people who contribute to making the world a worse place, even though I know that’s not true. Dan’s not a bad man. He’s just a man that disagrees with me. But that too is not the whole story. My Haitian internet won’t let me upload the photo that I want to upload, so I’m recycling this one from my last post. And the beautiful thing was that I knew he meant it, with his whole heart. From the absolute deepest part of him, I felt the sincerity and allowed it to call out to the deepest part of myself where I knew that it made a difference to me to have his prayers behind me and feel his thoughts with me every day. Beyond the politics and the opinions and the people that we associate with and the cable news channels that we watch, I hold a deep gratitude to this man for the love that he shares with me. And I am happy to reciprocate it. When deep calls out to deep in the roar of your waterfalls. Today I visited that waterfall that I shared a photo of in my last post. 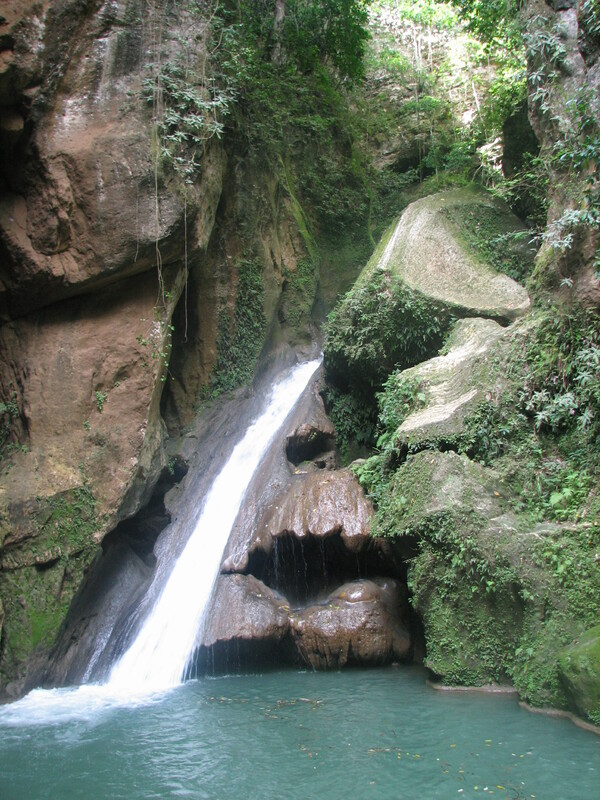 It’s one of the most famous places in Haiti and also considered to be one of the most spiritual. In the pool below the cascade they say the water is 87 feet deep. I wasn’t able to plunge into the water today because I’m still healing from the health issues that I had in the US, so I just sat on a rocky ledge across from the falls and listened beyond the roars of the water to hear the deep call out. The result, Gratitude. Peace. Strength. 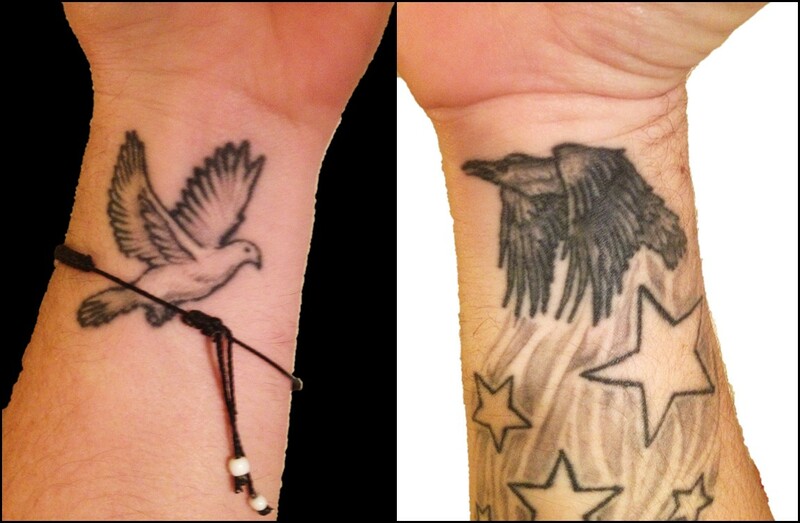 I have two tattoos on my wrists: a raven on my right and a dove on my left. I got the two permanently etched on my skin in 2009 as a representation of the many opposing forces that define our lives on this earth and a reminder to try to always see both sides. A dove, traditionally serving as a symbol of peace and hope; with the raven, a classic metaphor for death and fear. And somewhere in between lies the truth about what life really is. I like my tattoos, but it has always also bothered me that I had to have a white bird to represent the positive and a black bird to represent the negative. Somewhere shallow just under the surface of the symbolism of these two birds is also a tragically expected expression of racism. White = good. Black = bad. This is not why I got the tattoos, to prove these equations correct in the case of our human identity, but because this color theory symbolism permeates every facet of our culture from our art and our music and our literature and cinema to even psychology and religion. And there’s scientific basis for it. Walk into an empty room painted all white. You’ll feel much differently than if you walk into an empty room painted all black. But human lives cannot be defined by a Color Theory 101 course. Human beings are not empty rooms or words on a page crafted into poems to inspire emotion or paint on a canvas crafted to draw out feelings from a gallery viewer. No, this flesh that wraps up who we are, body, mind, and spirit, cannot be defined by such simple chromatic extremes. Because the flesh itself does not define who we are. And yet in this world, or at least in this country, it seems that people still like to think that the doves and the ravens can be captured in cages of stereotypes. But then we somehow find it justifiable to let the doves fly off to freedom while we kill the ravens because we’re afraid of the lies that we tell ourselves about what they might be. And because of this, everything that’s been happening in this country the last several weeks has got me feeling sad and angry and all kinds of unexplainable. I am feeling upset and trapped by our human weakness because we are spending so much time looking for ways to justify killing rather than discover life. I am feeling scared because 12-year-old boy isn’t free to walk outside of his home with a BB gun without being killed but a middle aged white man can carry his loaded rifle wherever the hell he pleases and be considered an example of freedom. I am feeling lonely because we live in a place where an entire race of people have been made to feel that they are considered expendable. I am feeling betrayed because I speak a language where somehow, the word “son” has evolved into “thug” and “victim” has become “monster” and “he” has become “it” and “father” has become “target”. How have we allowed this to happen? How have we come to this? So many questions and so many feelings, but no answers and no consolation. Only more bodies and reasons why we’re supposed to believe that they were supposed to die. I’ve tried to find answers or some sense of consolation amidst it all. The week after this world lost its child named Michael Brown, I was scheduled to give the message at my parents’ church in Iowa. In preparation for this message I spent some time dwelling in the end of Psalm 42 where the question is asked multiple times “Why, my soul, are you downcast? Why so disturbed within me?” And the response lies somewhere in “Deep calls to deep in the roar of your waterfalls. All of your breakers and waves have swept over me.” I wish that we all on this planet together could allow the deepest part of ourselves to call out to the deepest part of every other individual we encounter on our path in life. Beyond the skin colors and the clothing and way one might talk. Beyond even the cigarettes that one may have stolen or tried to sell or whatever item might be held in one’s hands. When the deepest part of me calls out to the deepest part of you, we are able to see something much more real and experience something much more sacred. If you believe in God then you have to believe that that’s where They dwell within a person, in The Deep. And if we get to that part, that’s when Love and Understanding can sweep over us and we can finally get lost in the deafening roar of Justice falling like a waterfall. I still believe that. And dammit, I’m going to keep believing it no matter how many news stories might give me reasons to believe otherwise. But simply believing isn’t going to make it real. So I will continue to support those who are protesting and actively fighting to bring about the justice that they deserve. Your struggle is legitimate and I echo your cries. I will also continue to support the many good and brave police men and women who are giving their all to uphold justice in a system that is broken. Your service is appreciated and your sacrifices recognized. And I will continue to hurt and mourn alongside those who have been more directly affected by the injustices and those who were born without the privileges that I was born with as a white male in a middle class family. Your scars are deeper than anyone else can pretend to understand. Perhaps I don’t know what else to do but contribute to the dialog that needs to happen in the way I know how. While saying all of this, I also acknowledge my own cowardice. Writing words on a blog is not the same as protesting in the street. I may get a negative comment or two but I won’t get pepper spray in my white face or handcuffs on my tattooed wrists. But it’s what I can do at this moment. It’s what I can do from these airports where I’m writing before taking my chance to get out of the USA for a while. After the last several weeks, I need a beak from America and I’m taking it. That doesn’t mean that I won’t remain in solidarity with those fighting for justice from wherever I am. Every time I look down at the birds on my wrists I’ll say a little prayer and send out the deepest part of me to the deepest part of you.